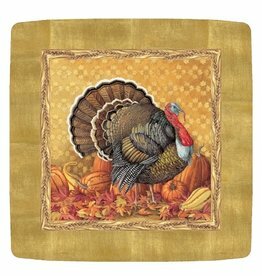 Thanksgiving Paper Napkins Plates guest napkins and more for a traditional Thanksgiving Table with Classic colors bold accents for a festive ambient fall harvest table. 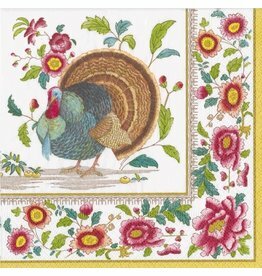 Fall Leaf Design to traditional Turkey Designs, bold coordinating solids and More. 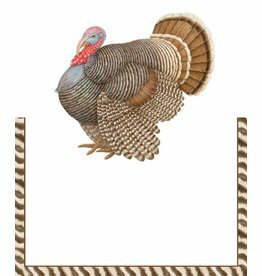 Caspari Thanksgiving Paper Dinner Plates. Set of 8 buffet-weight dinner paper plates per package. Size: 10 inch Dia. Produced using environmentally sound raw materials. 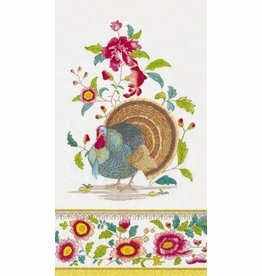 Caspari Paper Products for Entertaining. Caspari Salad - Dessert Plates. Set of 8 buffet-weight paper plates per package. 7.25 inch Square. Produced using environmentally sound raw materials. Caspari Paper Dinner Plates. Paper Products for Entertaining. 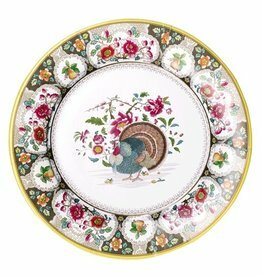 Round Paper Dinner Plates. Set of 8 round buffet-weight dinner paper plates per package. 10.25 inch round. Produced using environmentally sound raw materials. Caspari Paper Dinner Plates. Paper Products for Entertaining. Artist: Susie Ray. 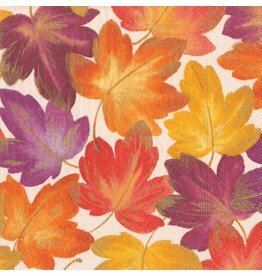 Fall Thanksgiving Caspari Paper Cocktail Napkins. 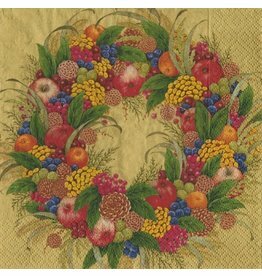 Set of 20 Paper Cocktail Napkins per package. 10 x 10 inches open; 5 sq inches folded. Printed in Germany in a certified carbon-neutral facility using non-toxic, water soluble dyes. Caspari Paper Napkins.